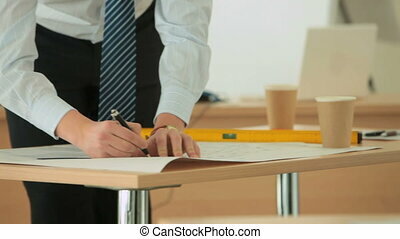 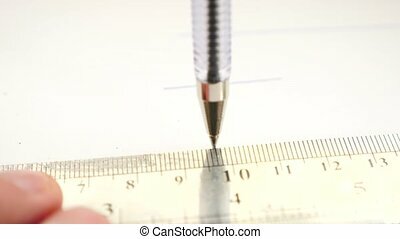 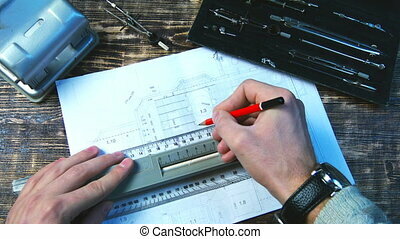 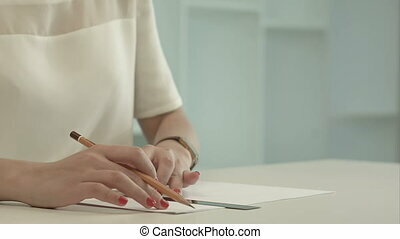 Drawing a pencil line on the ruler on the drawing sheet. 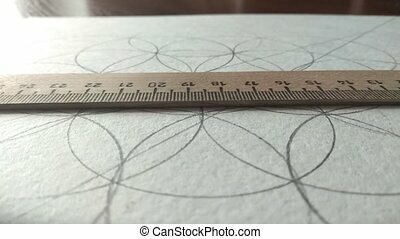 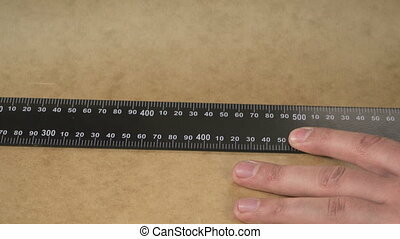 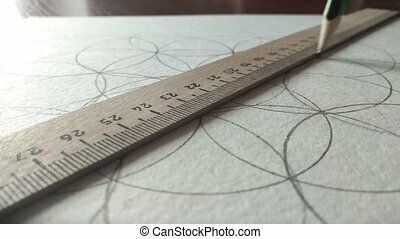 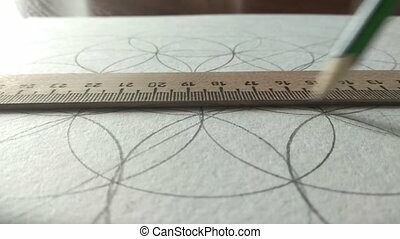 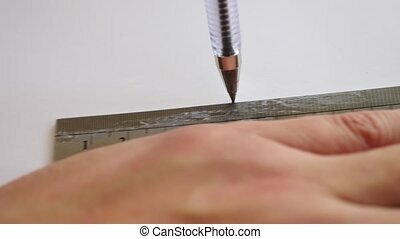 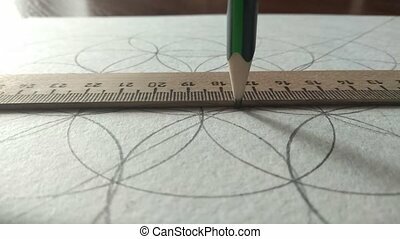 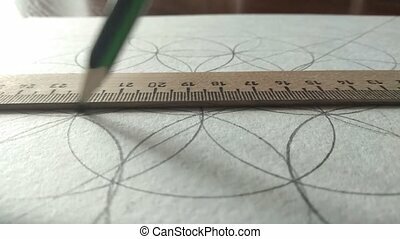 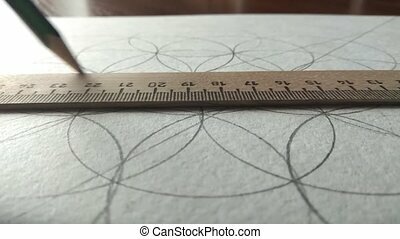 Man's hands draw a pencil line on a ruler. 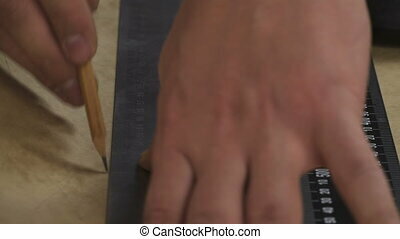 Making a template for leather handbag. 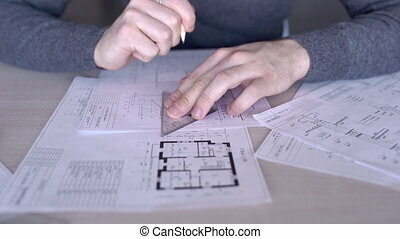 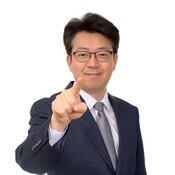 Close up handwork.